Calendars are a prerequisite for every person, be it a student or a teacher or a corporate business man. A disciplined and punctual life requires calendars that record every arrangement of the day. Weekly calendars are a printable thing now because of the added value attached to its need in our lives. There are various types of Calendar Templates available online as well on paper, to bring more convenience to your life. Listed below are some of the most used Printable Weekly Calendars that will help you do everything with punctuality. 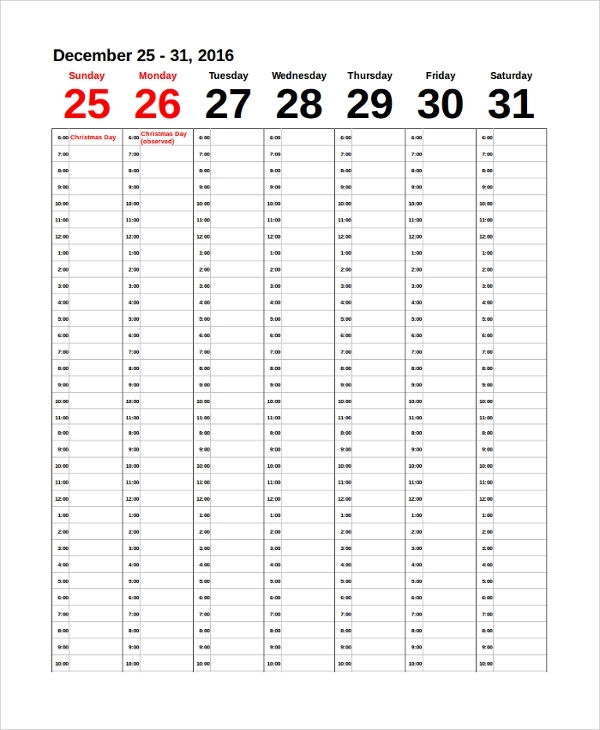 This calendar includes a blank page with each week printed on a single sheet. It is, as suggested by the name, blank where there is no mention of the time. 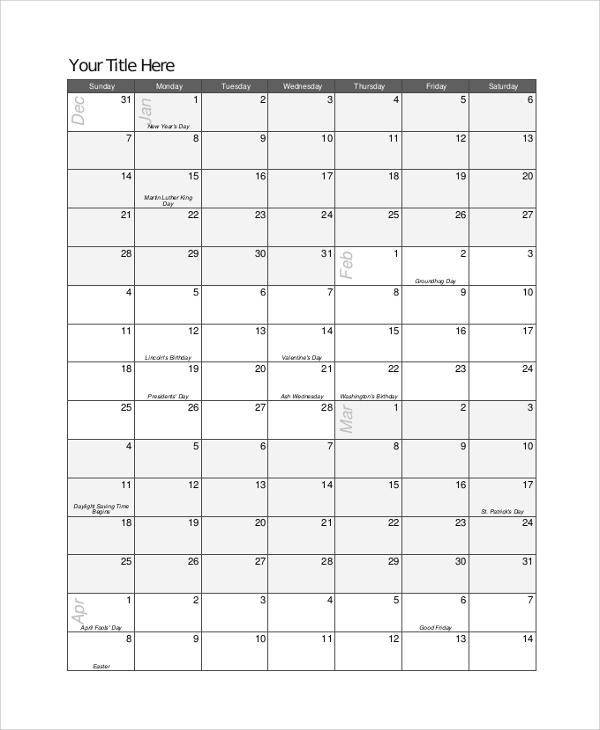 It can be used as a wall or desktop calendar, planner, school diary, and so on. A weekly calendar for appointment is especially useful for the people in the corporate sector as well as those in HR industries and teaching profession. It records all your meetings and appointments with the respective time. Therefore, it consists of the date, day and a 21 hour limit for your daily arrangements. This calendar is useful for both personal and commercial activities. It records the list of programs and activities in a week and is used for keeping employee records in the corporate sector. It also notifies the holidays in a week for the school calendar. An excel weekly calendar records the hour to hour basis activities of a day. 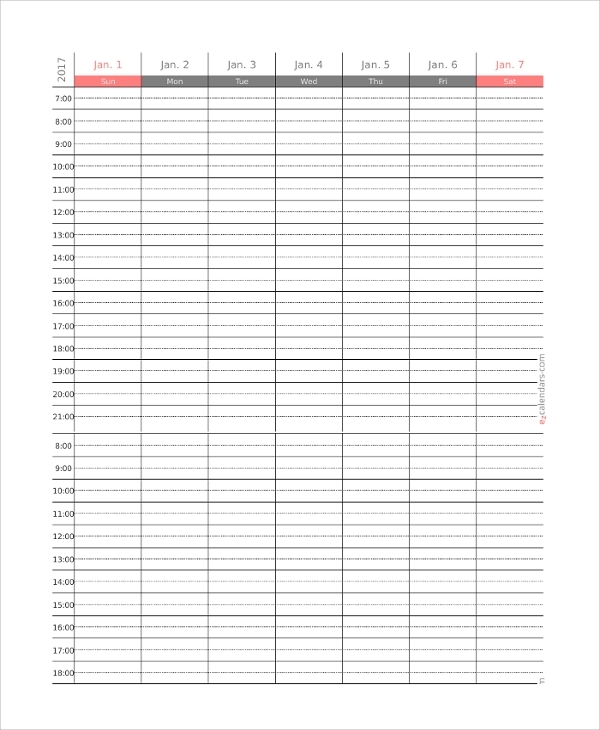 It is useful for students and teachers to record their daily timetable. The template is easy to customizable according to the requirements. The generic calendar is a general calendar template based on the days of the week. It lists all the days from Monday to Sunday and has a bracket for writing the date, month and year. It is useful for people who work on a weekly basis recording their work on separate weekdays. 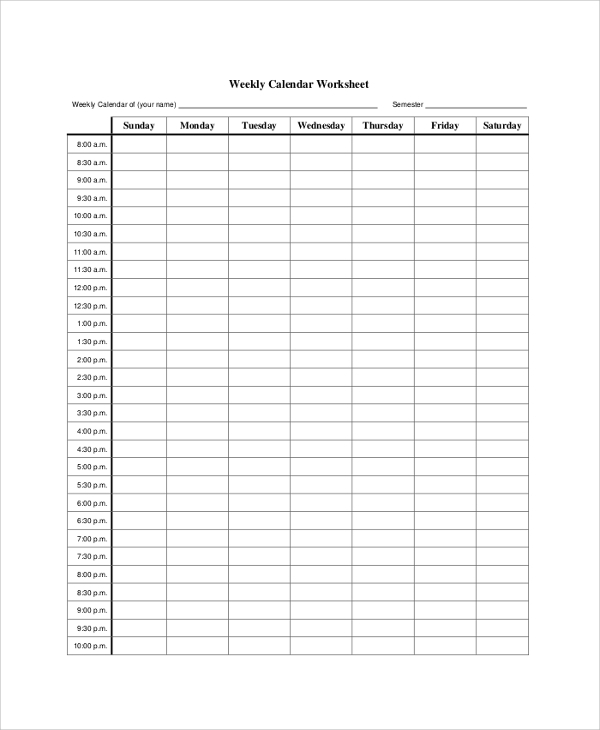 What Is The utilization Of The Printable Weekly Calendars? A weekly calendar is useful in many ways for many people. 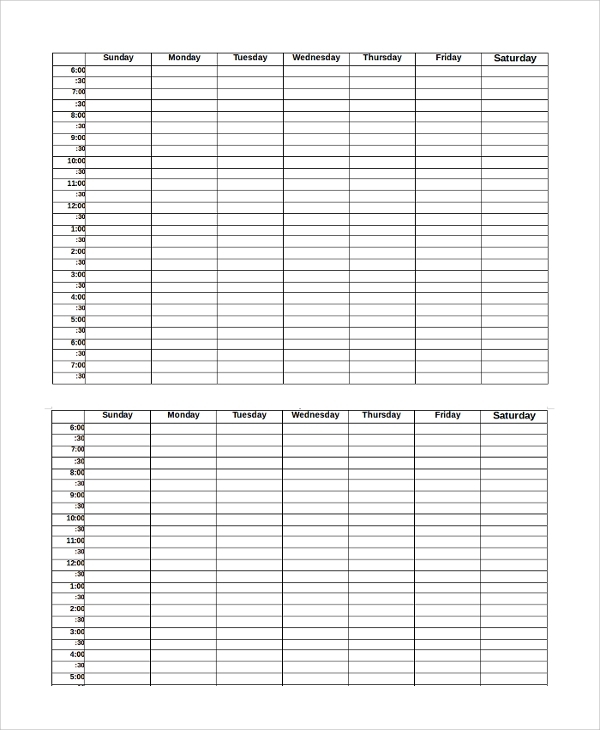 A student can record his daily as well as examination time table in a blank weekly or a generic weekly calendar. Corporate professionals can keep a record of their attendance of night shifts in an excel weekly calendar. Teachers can use weekly appointment calendar to make a note of their daily meetings and classes. 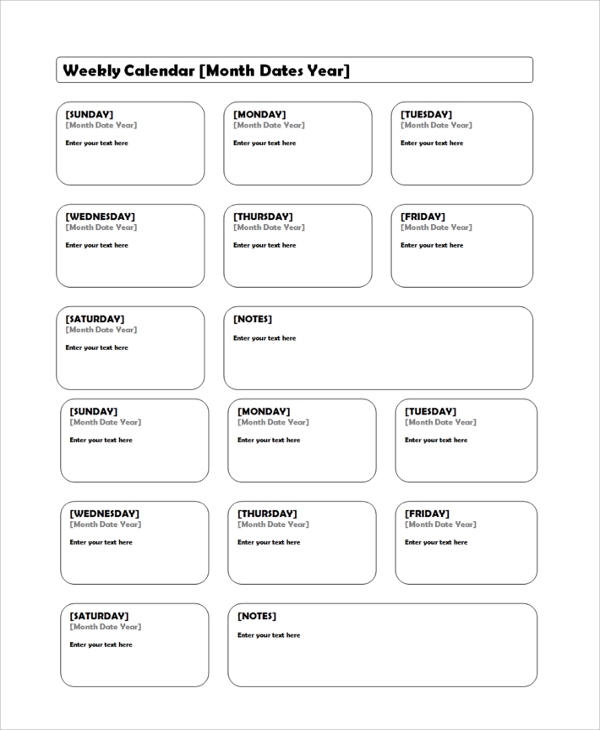 A printable blank Weekly Calendar is useful for anyone and everyone for making a note or reminder of the upcoming activities. The printable program weekly calendar can be used for planning week long trips and is useful for working travelers. What Are The Benefits Of These Calendars? Weekly calendars are beneficial for people in the manner in which they are used. For example, a printable program weekly calendar can be of great use and benefit for the workers involved in traveling jobs. They can help you to get a more punctual life and never miss any appointments. Weekly calendars are advantageous to keep a proper track of your daily arrangements. The best part is that they can be customized before printing and thus, the convenience provided is multiplied. Printable Weekly Calendars perform as a facility in paper and pen to keep us punctual. 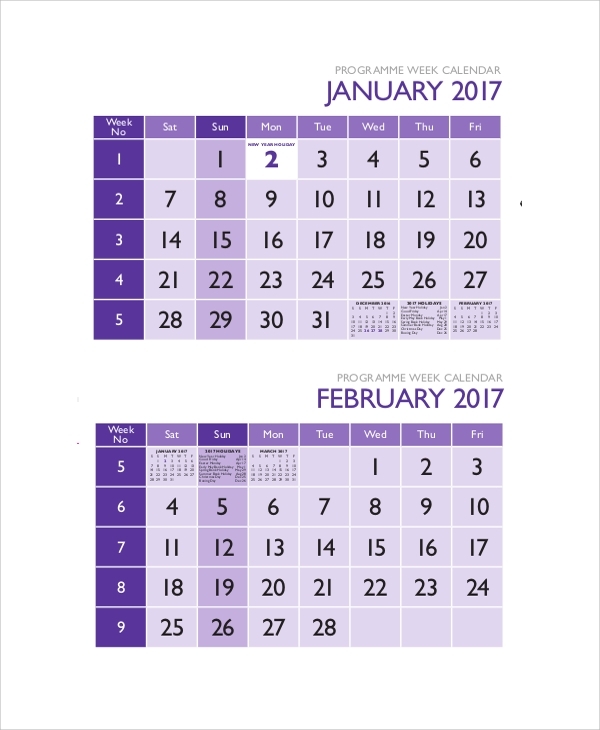 The internet can provide you with a large number of Printable Calendar Samples based on your requirement for a weekly or monthly calendar. Weekly calendars provide us help in keeping reminders, notes, and records of all upcoming events. With the aid of weekly calendars, you can have the assurance of avoiding any delays in your hourly, daily or weekly work life.